SUEZ has agreed to implement its water treatment technologies to improve water and wastewater processes for Rosneft, the Russian oil firm. A formal agreement was signed at this year’s St. Petersburg International Economic Forum, held earlier in May 2018. Andrey Shishkin, Rosneft’s vice president, was joined at the signing by Jean-Louis Chaussade, CEO of SUEZ. The firms have a working history spanning a decade. “Efficient and environmentally safe oil and gas production is only possible if the newest technologies are applied,” Shishkin commented. The agreement is expected to enhance the treatment of wastewater at Rosneft’s refineries and petrochemical sites. SUEZ will provide the facilities for pre-treatment of water as well as biological water purification and desalination for the purposes of water reuse. Cooling water systems and pilot testing could also be implemented where necessary, SUEZ has stated, and a further possibility to introduce the firm’s technologies for oil and gas production has been raised, specifically with regards to heavy water treatment in certain Rosneft sites. In January 2018, Rosneft started treating its biological wastewater produce at its Bashneft-Ufaneftekhim facility, using SUEZ technology. 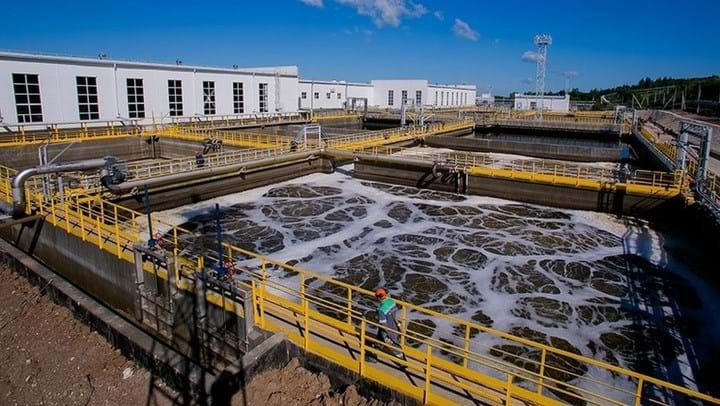 This facility uses SUEZ’s membrane bioreactor and electrodialysis reversal (EDR) technology to treat a maximum of 84,000 cubic metres of wastewater daily. Bashneft-Ufaneftekhim is Russia’s largest refinery and is affiliated with Rosneft. It treats up to 84 million litres of wastewater per day. “Long-term partnerships like the one between SUEZ and Rosneft really show how two organisations can come together to drive forward technology and service programs that both support environmental sustainability and business initiatives,” Chaussade said.